Dr. Lamberton is a general dentist with a focus on cosmetic and advanced restorative dentistry. 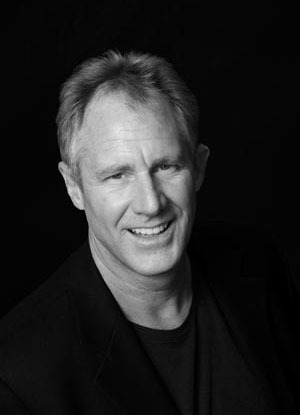 Dr. Lamberton is responsible for some of Napa Valley’s most beautiful smiles. His commitment to excellence in both the art and science of dentistry brings dentists and patients from all over the world to his practice. Dr. Lamberton was born in Corvallis, Oregon and raised in Thailand where his father practiced and taught dentistry. He graduated from Loma Linda University School of Dentistry in 1977. Dr. Lamberton’s goal to provide only the finest in dental care has taken him to seek out the very best dentists in the world to study with. The first was a two year advanced restorative program at The Foundation for Advanced Continuing Education, which he graduated from in 1985. Since that time he has continued to study cosmetics and graduated from multiple world renowned programs including The Las Vegas Institute of Cosmetic Dentistry. In 1992, Dr. Lamberton became the first accredited member of the American Academy of Cosmetic Dentistry in the Napa-Solano area. He now lectures and teaches other dentists about this exciting field of cosmetic Dentistry. Members of the American Academy of Cosmetic Dentistry are offered education and training on the latest procedures, techniques, and products through AACD publications, lectures, and workshops. AACD member professionals stay one step ahead of their peers by keeping informed on trends in the market and learning how the latest products and technologies benefit the patient and support the twin concepts of responsible esthetics and systemic oral health. By selecting an AACD member dentist, you know your dental professional cares enough to stay in the forefront of the cosmetic dentistry field, so you receive the most up-to-date and best care available. In addition to AACD general members, there are dental professionals like Dr. Lamberton who have gone the extra mile and devoted themselves to becoming AACD Accredited members. These dentists and laboratory technicians are not only up on the latest techniques and technology, but they’ve also been educated in bringing these advancements to their patients. These professionals understand that your smile is an expression of who you are. If you are looking for smile perfection, then seeking out an Accredited AACD dentist is worth the effort, as they have proven proficiency with the latest cosmetic dentistry advancements.